This weekend we celebrated our sweet Lylahs 6th birthday. In our house, this is a milestone birthday. One that means we start working actively towards reading. This is new territory for me because with Hayden and Ella we were using a boxed curriculum or had certain goals we were trying to reach at six, that as unschoolers, are pretty much non-existent. The good I can see clearly in the murky, unknown waters is that Lylah is ready to jump into reading, so following a self-led approach will easy, and a gentle introduction for me into the self-paced, unschooling world of reading. I feel like math and science are so easily obtained organically, and reading is something that needs to be worked at, so, while I have solid feelings on unschooling as our path, I question whether I can actually do as I intend as far as reading is concerned. 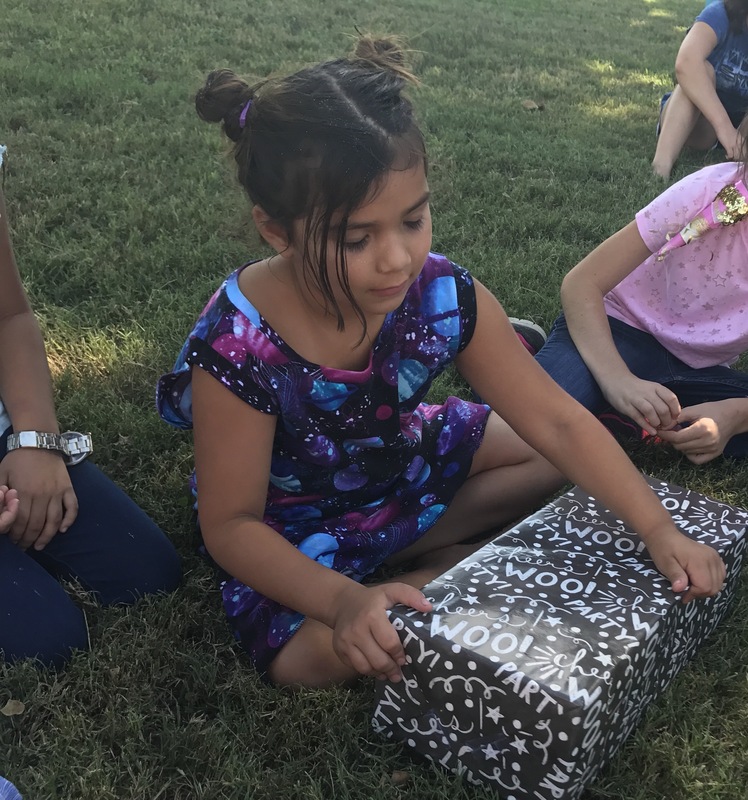 We celebrated Lylah with family and friends at our house with a simple party with snacks, cake, NO games, and a BEAUTIFUL fall (Texas fall) day. The beginning of this month not only marked Lylahs birthday, but it also brought a new extracurricular into our lives: GIRL SCOUTS! We love our troop (and hope the love us) and I’m so glad we found them. They’re all homeschoolers and close to the girls’ age. It was a great opportunity I’m glad we didn’t miss. We’re running full speed right now with Scouts, homeschool group, and church, cut it’s a wonderful and welcome type of busy that’s appreciated after a summer of being home trying to become grounded in our new child-led style and exploring the true meaning of unschooling. What has your family been up to?